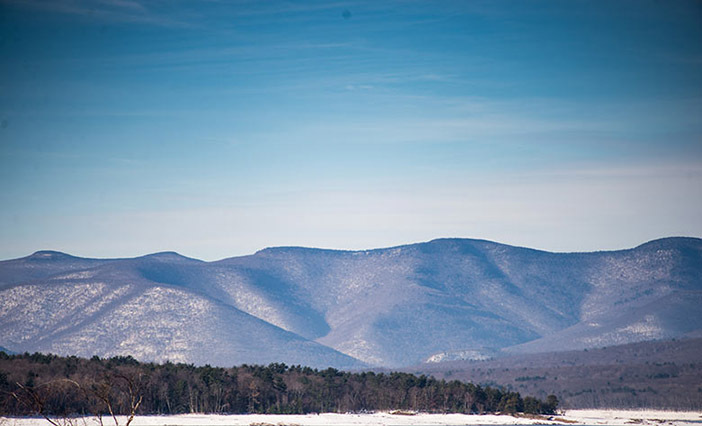 Just as the face of entrepreneurial business in the Hudson Valley has shifted to one that’s long-bearded and surrounded in plaid flannel, the new look of land stewardship in the Catskills is moving towards something much more active and popular-based than the fly fishing and solo hiker experiences that have characterized the state’s forest preserve parks for a handful of generations. New plans to expand mountain bike and cross country ski trails throughout the Catskills are coming forth this spring in the form of a proposed revision to the state Department of Environmental Conservation’s Unit Management Plan (UMP) for more than 6,106 acres of forest preserve lands in the Shandaken Wild Forest, which is located in the central Catskills within the Ulster County town of Shandaken and adjacent Greene County town of Lexington. But the shifts in the state’s 2005 UMP appears to be but the tip of a larger shift in land use for the entire region, as well as the massive Adirondack Forest Preserve, that’s in keeping with major changes in the ways younger generations are approaching nature and their relationship with it. Taking a broader look at the state’s latest proposal for uses of the central Catskills Shandaken Wild Forest and its potential consequences for the entire forest preserve, Catskill Center executive director Jeff Senterman reflected this week that it ties in with a number of larger patterns he and others who work within the region have been noticing. Senterman went on to talk about a history of Catskill Park trails that focused for years on strenuous hiking up and down mountains. Now there’s a new emphasis on rail trails into the region, and a recognition that multi-user trails would open up opportunities for forest preserve access to many who’ve been unable to work with what’s traditionally been available. He highlighted the new Windham Path in Greene County, which allows for walking, jogging, and even bicycling along a well-built trail adjacent to a river. “It’s a different kind of experience,” he said. Similarly, the director of the Catskill Center — which has long prided itself as a champion of both the region’s conservation as well as development needs throughout its 49-year history — noted the maturation of mountain biking as a recreational sport in recent years. It’s now got its own destinations, including Windham in the Catskills, and seems to have finally drawn the interest of the state as a proper use for the many trails of its forest preserves in the Catskills and Adirondacks. She referred back to the definition of wild forests within the Catskill Park as being for heavier use than designated wilderness areas, but less than the intensive use areas such as the ski center or nearby Pine Hill day use area. Some new recreational facilities already created within the Shandaken Wild Forest include a trail system, a lean-to in Rochester Hollow, and an accessible fishing pier on Lower Birch Creek property. Spreading the uses; swimming at Wilson? However…with all the new sorts of activity in the region, and its growing popularity, everyone we spoke with also noted new challenges from overuse. And hence new proposals coming forth to address such issues. Senterman, at the Catskill Center, brought up an awareness that better trail design is needed, instead of older protocols to simply blaze ways to get from the bottom to the peaks of local mountains. He spoke about new trails at Kaaterskill Falls, in Greene County, but also the overcrowding problems that have occurred in recent years at the Blue Hole swimming spot off the Peekamoose Road in Sundown, where his organization will be hiring two stewards in tandem with the DEC, and a proposal has been put forth by the state to initiate a permit system for access on weekends and holidays. “Access will still be free, and should this move forward it will be a true cutting edge test case,” Senterman said. “We’ll also be working with our on-site stewards to suggest other swimming areas at improved campgrounds and other sites throughout the park. According to Rosenbach, at the state Department of Environmental Conservation, Kenneth Wilson State Park in Woodstock could end up becoming one of those alternatives, along with North/South Lake in Greene County, Minnewaska State Park, and several areas in the southern Catskills. She noted how a recent UMP revision for the Wittenberg-based park included the possibility of swimming so the state “could do studies and seriously look into what would be needed to make it happen again.” She added that those studies should be happening within the coming year.